A few months ago, I was teaching an online seminar on the basics of computer vision. And do you know what the most common question I got asked was? How do I use OpenCV to load an image and display it on my screen? It’s a pretty basic concept, but I think many instructors (myself included) quickly jump over this question and immediately dive into more advanced techniques such as blurring, edge detection, and thresholding. Displaying an image to your screen is a simple way to debug a computer vision program, so let’s take a couple minutes and answer the this question. The objective of this post is to show you how to read an image off of disk using OpenCV, display it on your screen, and then wait for a key press to close the window and terminate the script. While simply displaying an image on your screen isn’t practical by itself, it’s an important technique that you will use a lot when you’re developing (and more importantly, debugging) your own computer vision applications. You see, displaying an image on your screen is much like a print statement when you’re debugging a tricky program. When it comes to debugging, nothing beats a few well placed print statements to figure out where the problem is coming from. The same is true in computer vision. A few well placed calls to cv2.imshow will quickly help you resolve the problem. Lines 1-2 handle importing the packages that we’ll need — argparse to parse command line arguments and cv2 for our OpenCV bindings. Then, on Lines 4-6 we parse our command line arguments. We only need a single switch, --image, which is the path to where our image resides on disk. Loading the image using OpenCV is taken care on Line 8 by making a call to the cv2.imread function. This function takes a single parameter — the path to where the image resides on disk, which is supplied as a command line argument. Finally, we can display our image to our screen on Lines 10-11. Displaying the image to our screen is handled by the cv2.imshow function. The first argument to cv2.imshow is a string containing the name of our window. This text will appear in the titlebar of the window. The second argument is the image that we loaded off of disk on Line 8. After we have made a call to the cv2.imshow function, we then need to wait for a key press using the cv2.waitKey function on Line 11. It’s very important that we make a call to this function, otherwise our window will close automatically! See, the cv2.waitKey function pauses execution of our Python script and waits for a key press. If we removed Line 11, then the window containing our image would close automatically. By making a call to cv2.waitKey, we are able to pause the execution of our script, thus displaying our image on our screen, until we press any key on our keyboard. The only argument cv2.waitKey takes is an integer, which is a delay in milliseconds. If this value is positive, then after the specified number of milliseconds elapses the window will close automatically. If the number of milliseconds is zero, then the function will wait infinitely until a key is pressed. The return value of cv2.waitKey is either the code of the pressed key, or -1, indicating that no key was pressed prior to the supplied amount of milliseconds elapsing. Figure 1: Loading an image using OpenCV and displaying it to our screen. Pressing any key on your keyboard will un-pause the script and close the window. In order to load an image off of disk and display it using OpenCV, you first need to call the cv2.imread function, passing in the path to your image as the sole argument. Then, a call to cv2.imshow will display your image on your screen. But be sure to then use cv2.waitKey to wait for a key press, otherwise the window created by cv2.imshow will close automatically. 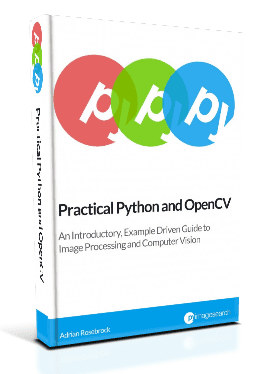 If you’re interested in learning the basics of computer vision, but don’t know where to start, you should definitely check out my new eBook, Practical Python and OpenCV. In this book I cover the basics of computer vision and image processing…and I can teach you in a single weekend! 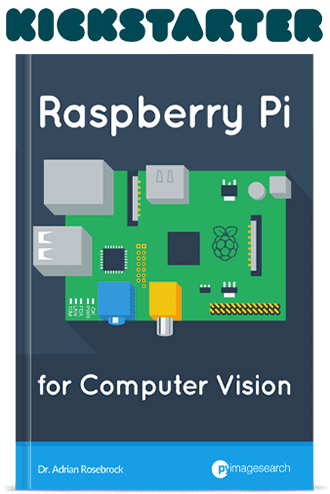 But I promise you, this book is your guaranteed quick-start guide to learning the fundamentals of computer vision. 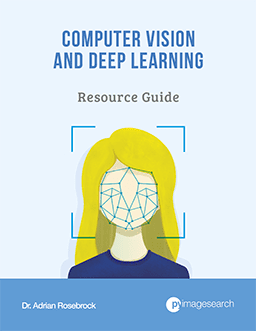 After reading this book you will be well on your way to becoming an OpenCV guru! So if you’re looking to learn the basics of OpenCV, definitely check out my book. You won’t be disappointed. Hi Adrian, i’m trying to make the code work, but i can’t. The path to the image is passed via command line at execution, you do not need to modify the original code. Notice how the --image switch points to the path to the doge.jpg image. If you’re unfamiliar with command line arguments, I suggest giving this tutorial a read. For the life of me I cant get a image to load with argparse. Im using windows if that makes a difference. I dont know where to put my path to the image? Im using Windows also. where do i write this command ? 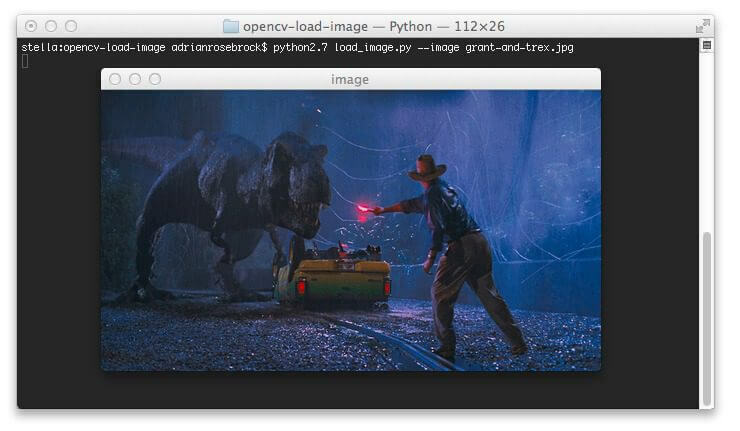 ‘ python load_image.py –image path\to\your\image.jpg’ ? You would open up your command line, change directory to where your load_image.py script lives and execute the command. Love you blog. Are there any minor changes I can make to this code that would allow me to upload multiple images? Thank you! What do you mean “upload” images? Do you mean load images from disk? Or upload to a server? I meant to ask if there was a way to upload an entire folder of images for processing, without having to write in each image. did u get the answer ? I’m still not sure I understand what the question is. If you’re getting a NoneType from cv2.imread, then one of two things are happening: (1) The path to cv2.imread is (still) incorrect or (2) OpenCV cannot read the type of image you’re supplying to it. I am having the same problem, Adrian! I download your code and try to running by CMD on Windows, and nothing happens. Can it be a bug on windows args? Keep in mind that the Windows operating system uses the \ path separator while Unix uses the / path separator. You likely need to update the path to your input image using the \ separator. Love your blog. I just started you tutorails today, I seem to be opening an image just fine, but it appears I missed how to display images when I’m ssh’d into my Pi. Please point me to instructions on how to open a display via ssh. Thank you so much for your effort and help! I’m stuck with load_display_save.py, and it looks like work, but I see nothing on the screen. When I execute the program, the raspi gets nothing, just an empty line in the command prompt screen (like thinking), then returns to the normal prompt. But then it gets again freezes, until I press Ctrl+C. I made other tests in OpenCV, and I can see the picture or video the camera captured via SSH or VNC. It happens both via direct SSH with PuTTy, and with VNC. Do you know what can be happening? That is certainly odd, Francisco! Unfortunately without having direct access to your Pi I’m not sure why that may be happening. I’m sorry I couldn’t be of more help here. Hi Melissa — how did you install OpenCV? Via one of the tutorials here on PyImageSearch? Or elsewhere? Normally you receive this error when OpenCV was compiled without “highgui” support which is the module responsible for GUI operations and displaying images to your screen. Hello Adrian, I like your tutorials, I’m using them for a project. could you help me out please? I’m new to Python programming. Thanks alot! Please read the other comments before posting. I have addressed this question in my reply to “Sadecutz” above. Hi Adrian, I’ve been a loyal reader of your blog posts and books since the day I found your blog! I have a problem of loading .png image with transparency channel – I could do it with PIL sometimes using .convert(“RGBA”), but sometimes even PIL fails. Do you have any idea how can I cope with that? Thanks!! Hi Yiyou — for PNG’s with transparent channels, please check out the information at the bottom of this blog post. Really love your blog and the clear explanation about OpenCV. I do run into some problems with the above example. When I run this code, the console runs fine, the arguments get loaded, but then it all ends. No image is shown. Hey Karel — I would check the output of cv2.imread. Is it “None”? If so, then an invalid image path was supplied to the script. If you’re new to command line arguments, read this tutorial first. Otherwise, it would be helpful to know the system you are executing the script on, OpenCV version, and how you installed OpenCV. 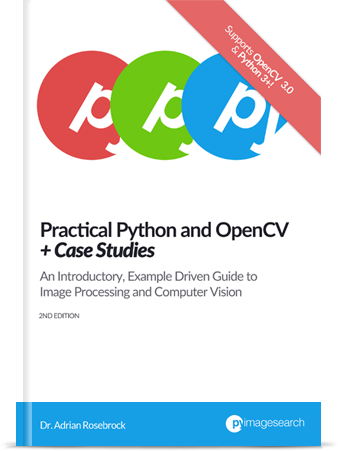 Finally, I would recommend reading through Practical Python and OpenCV. 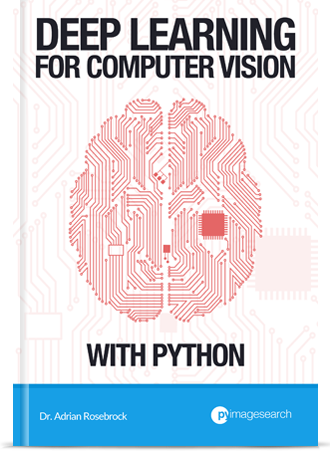 My book is has helped thousands of developers new to OpenCV and Python jumpstart their education. Be sure to take a look! Congrats on resolving the error, Aziz! Thank you for amazing blogs. I have tried your code and it is working fine, but now I need to use multiple images in the program and I can’t seem to find way to .add_argument multiple images. Do you think you can help me? I would instead suggest putting all your images in an input directory, then passing the path to the input directory to your script. Your script can then loop over all images in the directory and access them one-by-one. 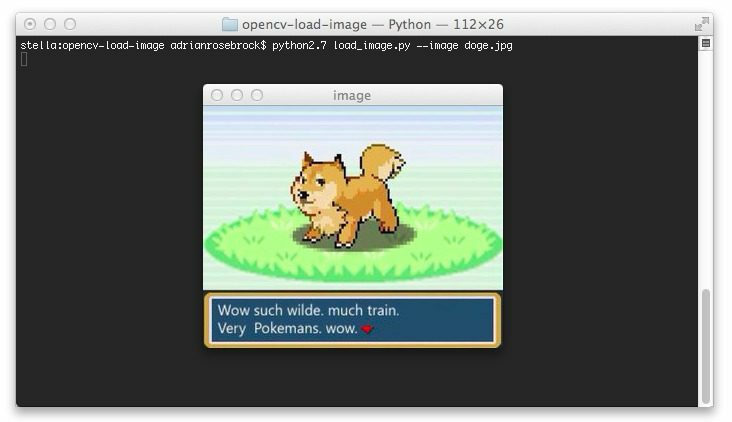 This tutorial provides an example of this as does Practical Python and OpenCV. i write code in the Idle , how to run this? You can use IDLE if you want, but you’ll need to copy and paste line-by-line. I would instead recommend you use the command line to execute the script. 1. Make sure you use the “Downloads” section of this blog post to download the code + images before you try to execute them. 2. Your error is due to not specifying the --image command line argument when executing the script. Make sure you read up on command line arguments before continuing. Please see my reply to “Sebastian” on October 1, 2015 (the very first comment on this post). hi, i load images in directory, how i print the filename ? Hi Andrey, to list the images in a directory you should try using imutils.paths and use the function, list_images. See the implementation here. From there you could print the list of filenames in your terminal. I am using spyder editor through anaconda. Hey John — can you try to execute the code via your command line argument instead of Spyder and see if you still have the same issue? __main__.py: error: the following arguments are required: -i/–image, -p/–prototxt, -m/–model. Reading this blog post on command line arguments will help you solve the error. Hey Aleem, make sure you read this tutorial on command line arguments. It will help you better understand argparse and even demonstrates how to set an argument via PyCharm. I would suggest sorting your image paths via timestamp, grabbing the latest image path, and then loading it. Refer to this tutorial on how to use command line arguments. Yes. 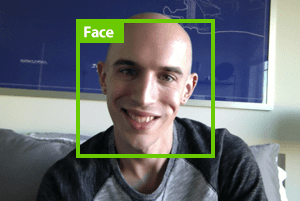 Your path to the input image is incorrect and OpenCV is returning “None”. Double-check your input paths. Additionally, read this tutorial on NoneType errors and how to resolve them.